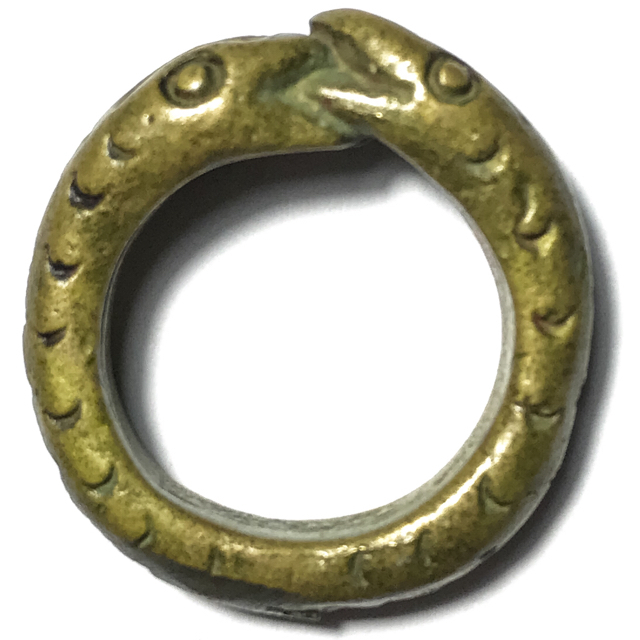 Haen Ngu Giaw Sap Lor Boran Magic Snakes Ring of Wealth, treasure and Protection, from Luang Por Im, of Wat Hua Khao. A truly olden days ancient amulet, forged using the ancient methods of Alchemical Mettalurgy. Luang Por Im was an olden days Guru Master, born over 150 Years ago, in 2406 BE, and who passed away more than 70 years ago in 2480 BE.This ring measures 2 Cm Inner Diameter.